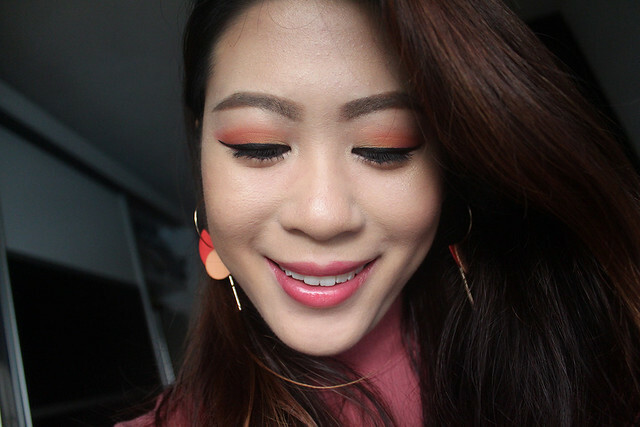 Using the Sigma Beauty Crème de Couture Palette, one with only matte shades, I’ve created a mini sunset on each of my peepers. 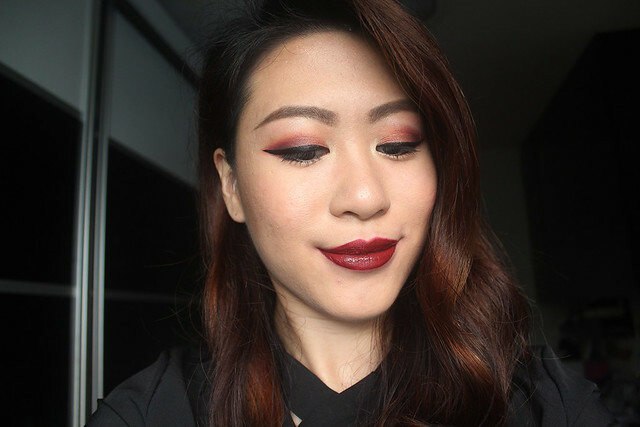 Red and orange hues were such a big thing in 2017, especially after Urban Decay dropped their NAKED Heat Palette. 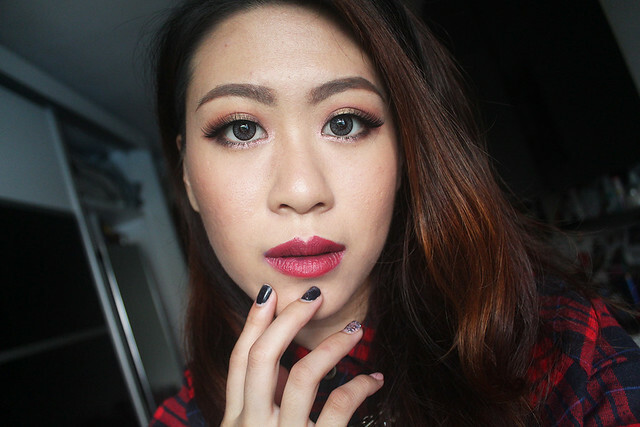 I’m definitely not over these warm hues just yet because they flatter the Asian skin tones. 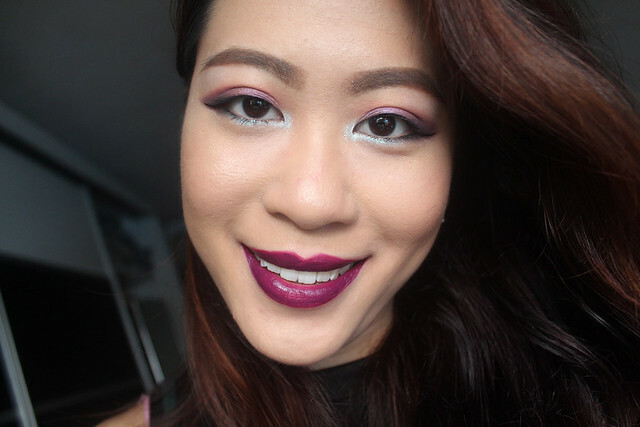 The next 2 looks were done using the ColourPop Cosmetics All I See Is Magic Palette. 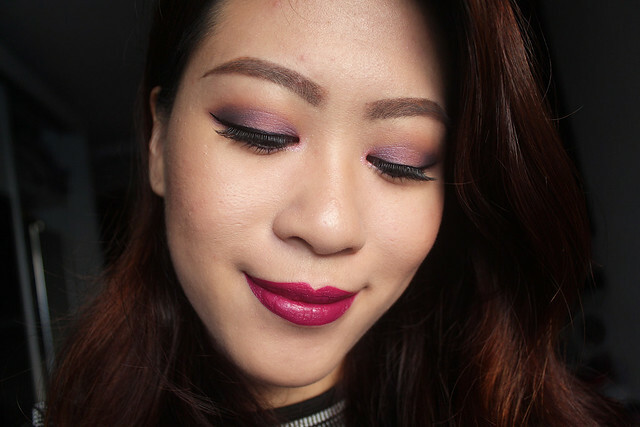 This palette was part of the ColourPop Holiday 2017 Collection featuring warm matte shades with a couple of deep jewel tones. Think sunset, but towards nightfall. 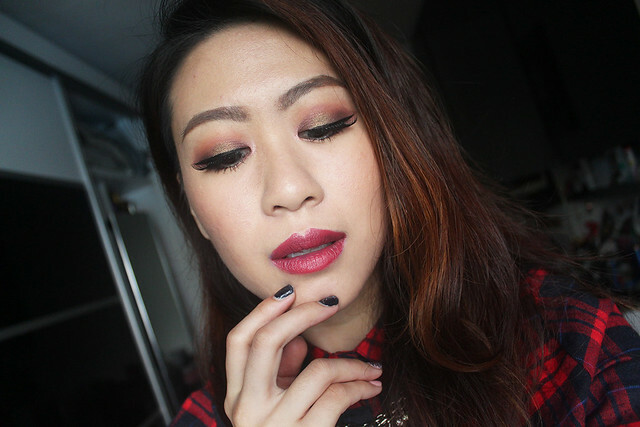 This deep sunset eye makeup has hues much darker than the previous look. It exudes a fiercer, more mature vibe and just makes you look more confident. This set of eye makeup is much more glamorous, with the shade Twinkle Toes, a metallic black gold, being the centre of attention. This metallic shade brings out all the glam with its gorgeous sheen. It’s perfect for dinner parties. 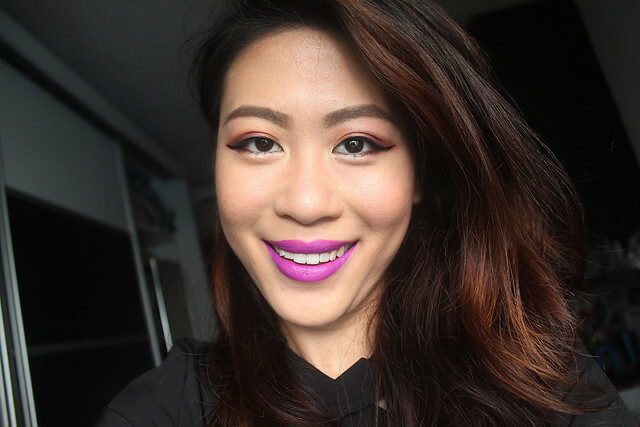 I’ve kept the crease colour relatively deep with Imperial, a matte soft red orange, just to accentuate the eyes and make it seem larger. 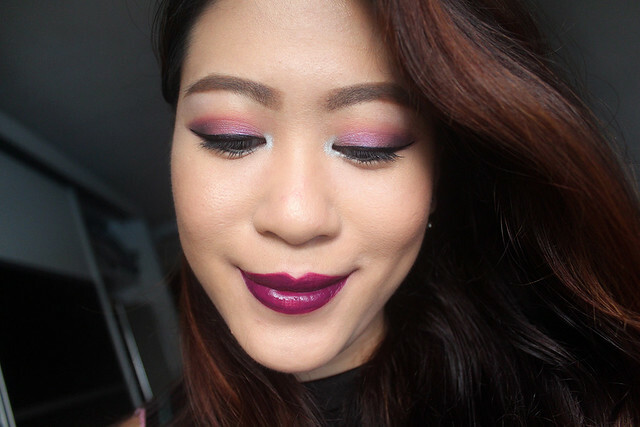 The unicorn trend is probably not going away any time soon with brands coming out with more eyeshadows, highlighters, lip toppers and lipsticks to emblazon that look. The ColourPop Cosmetics My Little Pony Palette was also launched end of last year for you to achieve that perfect rainbow eye makeup! The palette has such whimsical shades, which I really love! There’s a peach, an icy lavender, a dusty red violet, fuchsia, a silvery baby blue and more for you to play with! Love this palette so much I’m picking it up every other day. My current absolute favourite other than the above-mentioned is the Urban Decay Distortion Palette. This hasn’t been launched in Singapore yet (I think it’ll be Feb 2018) but I’ve already gotten my hands on it because my colleague and I hauled it all the way from the United States! Although we paid slightly more for it, we were totally cool because we could play with the palette before everyone else! I love how cool the colours are because literally, the top row of the palette can be used to layer on top of colours to change its hue and make it pop! 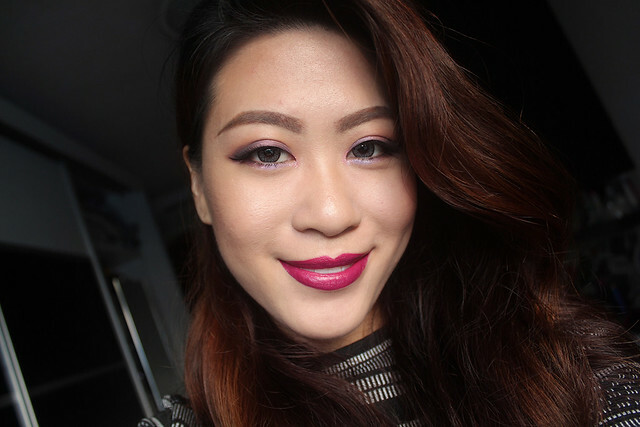 Here’s an all-purple eye makeup I’ve done to embrace Pantone’s colour of the year – Ultraviolet. 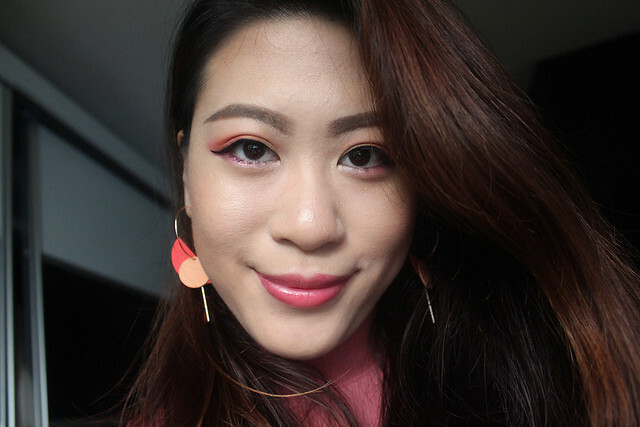 Having colours on your eyelids can be a tad challenging, especially when you don’t really put on makeup or just don’t have time to do so before work/school. 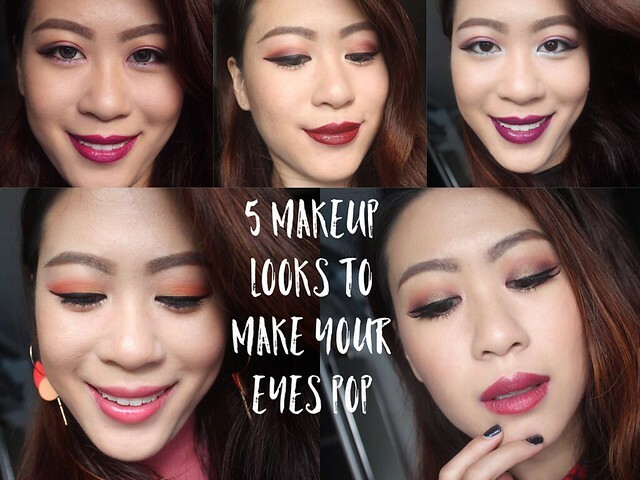 On days when you’re feeling adventurous, do try these looks out! Hope you enjoyed and do follow me on Instagram (@paradeoflove) for my daily dose of beauty and fashion picks!